Neil Warnock has been named Championship manager of the month for March after continuing promotion-chasing Cardiff City's unbeaten run. Warnock's award is a record 10th manager of the month accolade. The Bluebirds won all four of their fixtures in March and have not lost since New Year's Day, 14 games ago. It comes after Warnock was also named manager of the month for February while being named as the manager of the Championship team of the season. Cardiff are currently second in the Championship behind leaders Wolverhampton Wanderers. 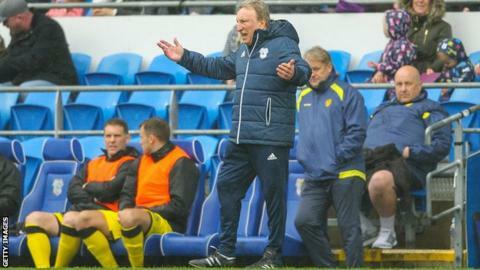 "I feel very proud because I don't think anyone will mind me saying the club was in a bit of disarray when we came in, both on and off the field," Warnock told Cardiff's official website. "I think if you're a Cardiff fan now, you walk about in town and you're proud to be a Cardiff fan and you want to come and cheer your team on and I think that's great. As a manager, I want them to get behind us and the players as well."